"when automatic shifting functions are desired"
The SMR PRO SPORTSMAN series transmission incorporates the latest technology and upgrades for greatly enhanced performance and reliability in modified street/strip,and competition vehicles where automatic shifting features are desired. Shifts are FIRM, CLEAN and CRISP with the fully automatic or manually controlled shifts with a standard pattern. The PRO SPORTSMAN is constructed with the same components as the SMR COMPETITION ELIMINATOR series with the addition of a governor system and automatic valvebody. 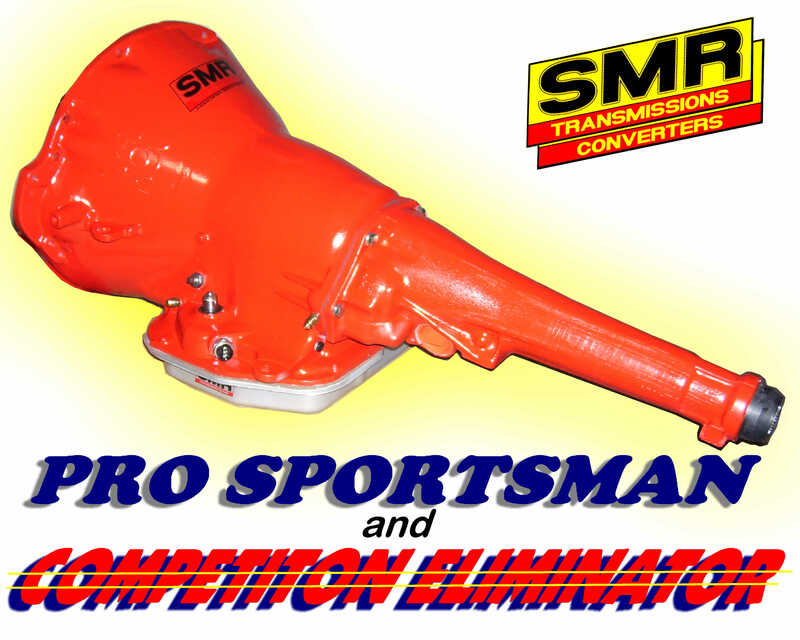 the SMR COMPETITION ELIMINATOR series transmission, fills the bill! Featuring our renowned, REVERSE PATTERN valvebody, with Anti-drainback valving, full time lube, increased converter pressure, and clean lightning quick shifts, for maximum reliability and performance. Options can be added to the Competition Eliminator series 727, to reliably handle up to 1000 h.p. Craig "comment on my trans is easy - one word BULLET PROOF. My 'Cuda is no trailer queen. I run it hard, I race it both on the strip and street. 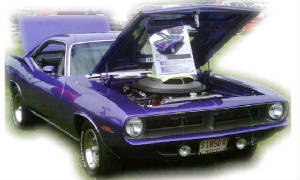 I asked Pat [owner of SMR Transmissions] to build me a trans that could stand up to my HEMI. He did it and the trans is a great part of my car. Pat was a pleasure to do business with. -Thanks-"
-all bolts, fittings, hardware and pan are glass beaded, primed and painted or clear coated to keep the original appearance. - Stamped steel deep pan with billet aluminum filter extension is utilized to provide extra cooling capacity and increased fluid to prevent air suction on hard launches and decelleration. Every pan is equipped with a drainplug to make adjustments and regular maintenance a much easier task. -pump is re-machined, new bushing and seals installed and modifications made to enhance lubrication, line pressure, converter apply pressure and cooling. 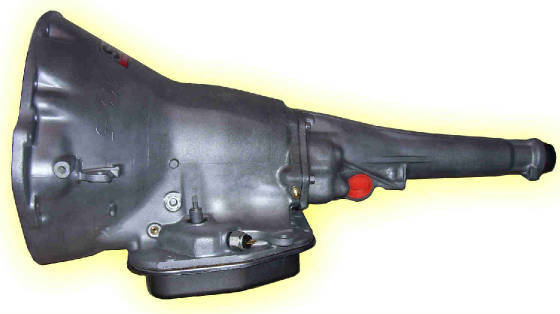 The pump is carefully blueprinted and assembled with .002-.0025" side clearance for optimum performance. -a 4 pinion front planetary is utilized to provide additional torque capacity in race applications and a new 5 pinion, all steel carrier planetary is used in all street or street/strip applications. -the 2nd gear apply lever (kickdown) is replaced with a Billet Steel 4.2:1 ratio lever to increase band apply pressure for greater clamping force. - each component including the pump, clutch packs, servos, forward drum assembly, input and output shaft, are precisely blueprinted to the optimum clearance specification. NOTE: Certain applications may require additional cost component upgrades as determined by power, weight and other factors. NOTE: PRICES QUOTED ARE IN U.S. CURRENCY and APPLICABLE ON THE SALES TO CUSTOMERS IN U..S.A.
IS THE PRO SPORTSMAN or COMPETITION ELIMINATOR series TRANSMISSION RIGHT FOR YOUR VEHICLE? We can recommend the best application for your specific vehicle, simply provide the information on our CLIENT'S TECH SHEET (Click this line).